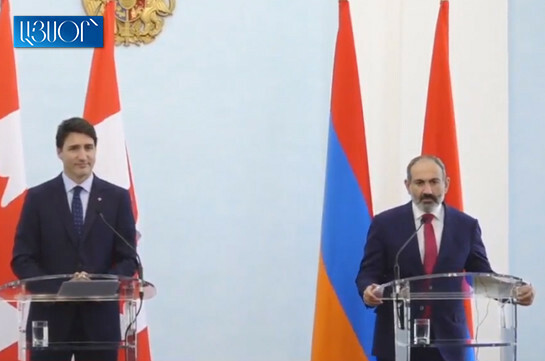 Prime Minister of Canada Justin Trudeau and Armenian Prime Minister Nikol Pashinyan are giving a joint news conference. “Negotiations have taken place with the Canadian delegation headed by PM Trudeau. It is a historic event,” Pashinyan said, noting that for the first time in history Canadian Prime Minister pays official visit to as Armenia. He said they discussed a number of bilateral, regional, international issues. The Armenian PM stressed the positions of the two countries coincide in many of them. “I consider Mr Trudeau good friend of Armenian people and my friend personally,” Pashinyan said. “I am happy to welcome you in Armenia, and I hope that our relations will result in development of our two countries,” Pashinyan said. “Azerbaijani president Ilham Aliyev always states that the issue of our territorial integrity is not a subject of discussion. 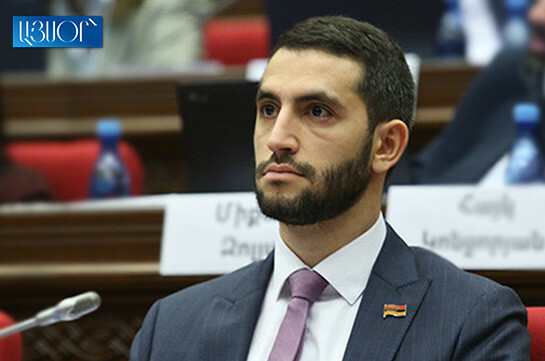 Thus, the parliamentarians must be cautious in their calls about war,” Asadov said.